It’s little wonder so many people get excited about bluebell season in Cornwall. These delicate plants, with their long, slender stems and distinctive bell-shaped flowers are breathtaking when you see them en masse. Late April and early May are usually the best times to see the bluebells in all their glory. In Cornwall, we’re lucky enough to be able to see swathes of bluebells in gardens and woodland across the county – so you’ll never have to go too far to find them. 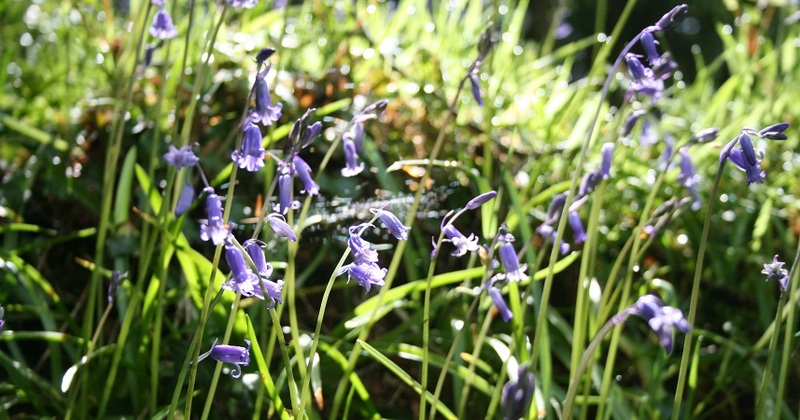 Visit Cornwall have captured the magic of bluebell season in Cornwall in this short video filmed at Tehidy Country Park and Enys Gardens. 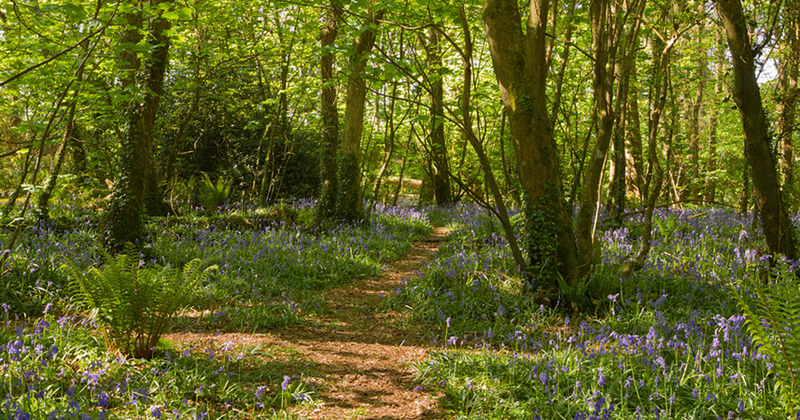 We’ve pulled together our favourite bluebell walks in Cornwall – all with a cafe stop so you can reward yourself with a traditional cream tea afterwards. All these walks are dog friendly, so you can enjoy them with your four-legged friend. Lanhydrock is a magnificent late Victorian country house with extensive gardens and woodland walks. There’s an excellent cafe serving local seasonal produce as well as pasties and cream teas. Dogs on leads are welcome in the gardens and woods. 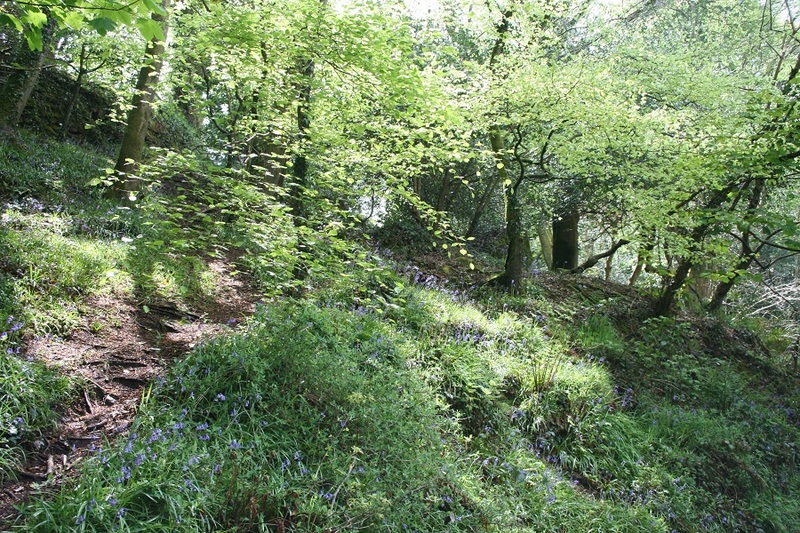 Tehidy is the largest area of woodland in West Cornwall with over 9 miles of paths and 250 acres of peaceful woods and lakes to explore – great for kids and dogs. 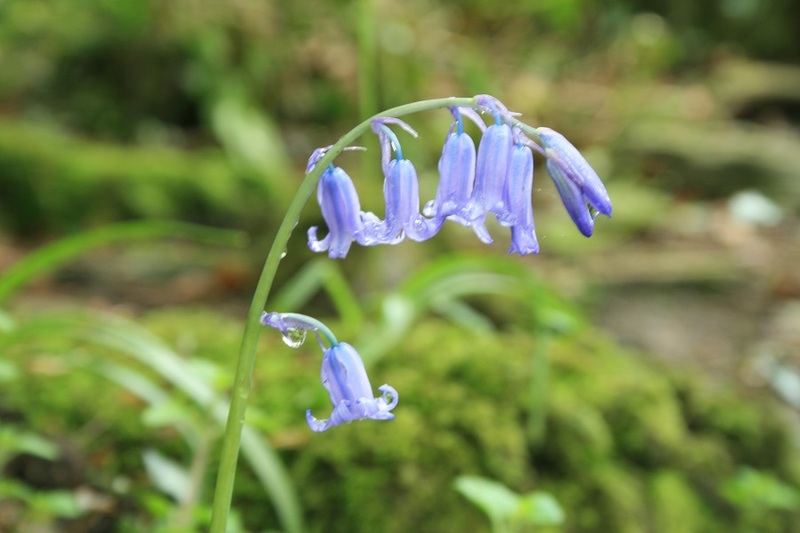 The North Cliffs area is the best place for bluebell spotting (park at the North Cliff car park, just off the B3301 coast road between Hayle and Portreath). The café’s open all day, 7 days a week and serves lunch and a variety of freshly made cakes and treats. Pencarrow has formal gardens and woodland walks to explore. It’s at its best in the spring, when the woods are strewn with bluebells and wild garlic. Pop in to the Peacock Cafe for a range of delicious home-made cakes or a fresh scone with jam and cream. The estate has been owned by the Enys family since the 13th century. It’s renowned for its annual spectacular bluebell display and draws visitors from across the UK and beyond. The gardens are usually open on Tuesdays, Thursdays and selected Sunday afternoons. Dogs on leads are welcome at Enys. 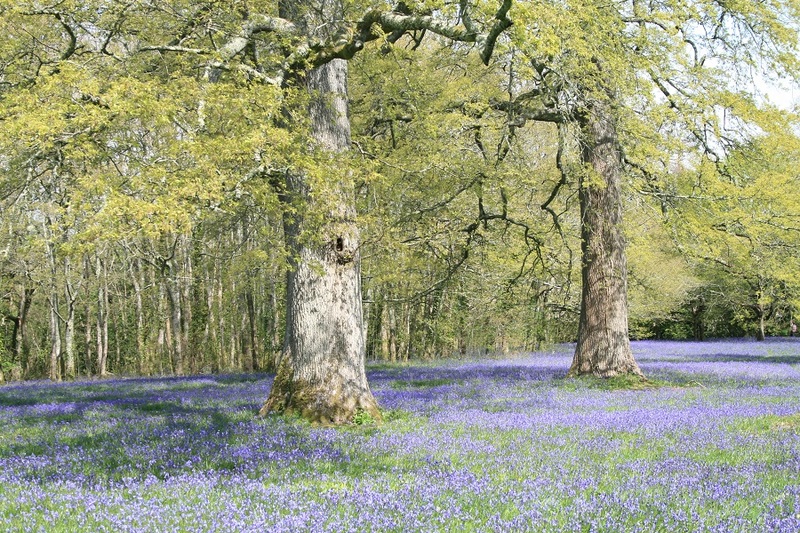 The Enys Gardens Bluebell Festival runs Saturday 5th May – Saturday 12th May (11am to 5pm) every day. 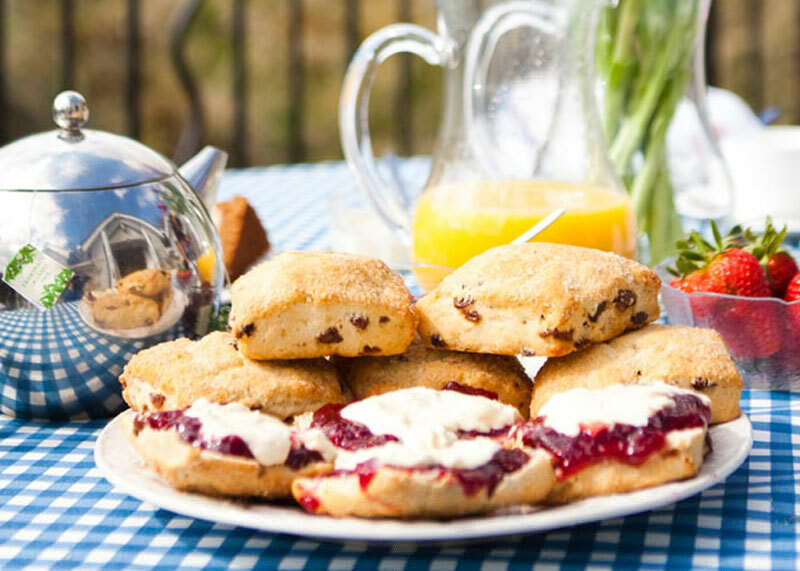 Make sure you pop in to the Enys Tea Rooms after your walk for a traditional Cornish cream tea. Trelissick is wonderful place to relax and explore at and time of the year. 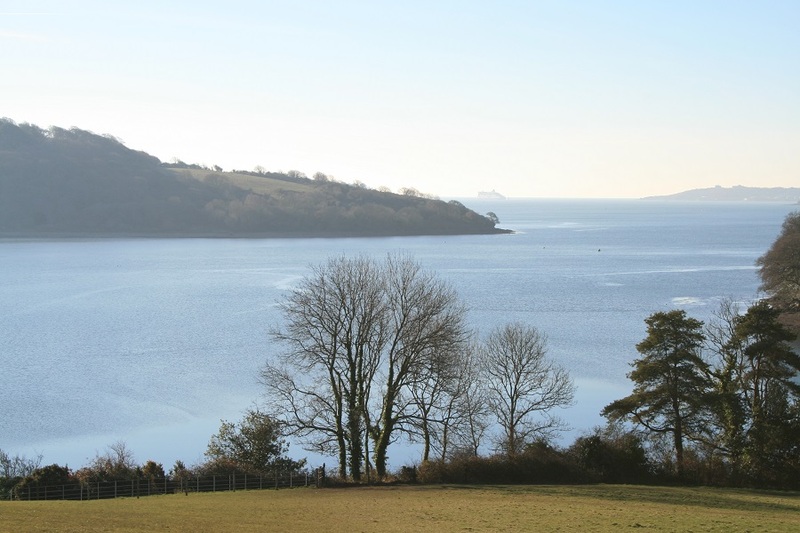 Enjoy exploring the maze of paths around the garden or park in the National Trust car park and take a stroll along the woodland walk down to Roundwood Quay for wonderful views across the River Fal. The National Trust café is a great place to stop for a treat after you’ve stretched your legs. Fancy a last minute break in Cornwall? We’ve got some special offers on our last few cottages with April availability. We also still have some cottages available for short breaks in May. Where are your favourite bluebell walks in Cornwall? Share your recommendations below, tweet @Bosinver or post on our Facebook page – we’d love to hear your thoughts. If you would like to know more about booking a holiday here at Bosinver, please email reception@bosinver.co.uk or call 01726 72128.